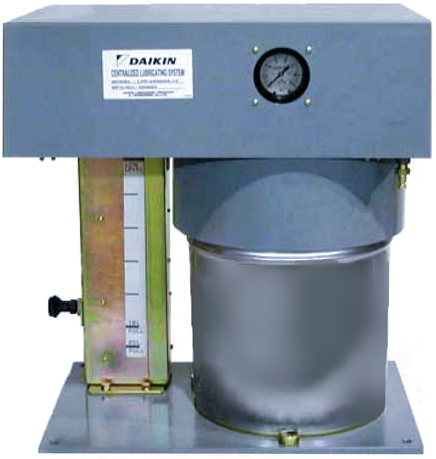 Dual/Single Line | Products | Daikin Lubrication Products & Engineering Co., Ltd. This panel ensures trouble-free operation of centralized lubricating systems, and centrally controls savings in factory manpower through automatic operation. 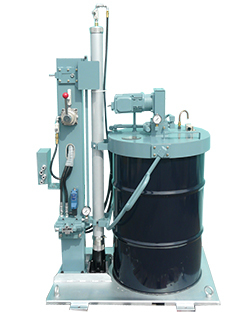 Two types of pump are available, the PF type manually operated filler pack and EFP type motor driven filler pack. Both types greatly reduce actual working hours. This pump is started and stopped by push button operation, and the pump is automatically stopped by actuation of the high level switch on the motor driven pump. Main components are enclosed inside the cover of the elevator unit. This results in a simple exterior and protects components inside from dust and foreign matter. 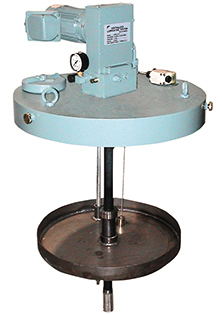 The mechanism of this pump has been simplified, which means that the pump body alone is a light 65 kg or so. 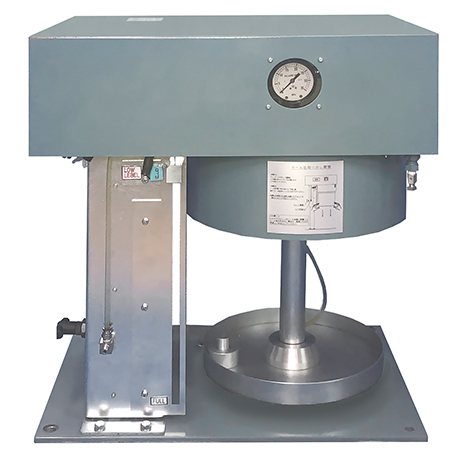 The suction performance of high-viscosity grease has been improved. 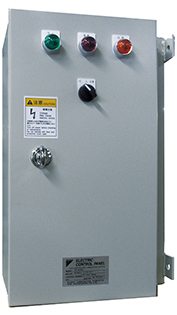 Adoption of an air type elevator unit enables the drum to be easily replaced. 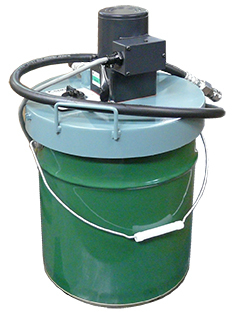 The mechanically operated safety stopper safely and reliably prevents the drum can from falling off. Adoption of a lipped follower plate has considerably improved the amount of residual grease over that of the convention motor driven pail can pump (LPP).